With a variety of massage movements Indian Head helps to relieve tension, stimulate circulation and restore joint movement. Often tension in the upper back, neck and head can lead to migraines, headaches and back pain which can make for uncomfortable living on a day to day basis. This is a lovely side effect of the Indian Head Massage. The massage increases nourishment and oxygen to the scalp and hair follicle which in turn can stimulate hair growth. It stimulates and improves lymphatic drainage and blood flow to the neck thus helping to remove waste products from the body. 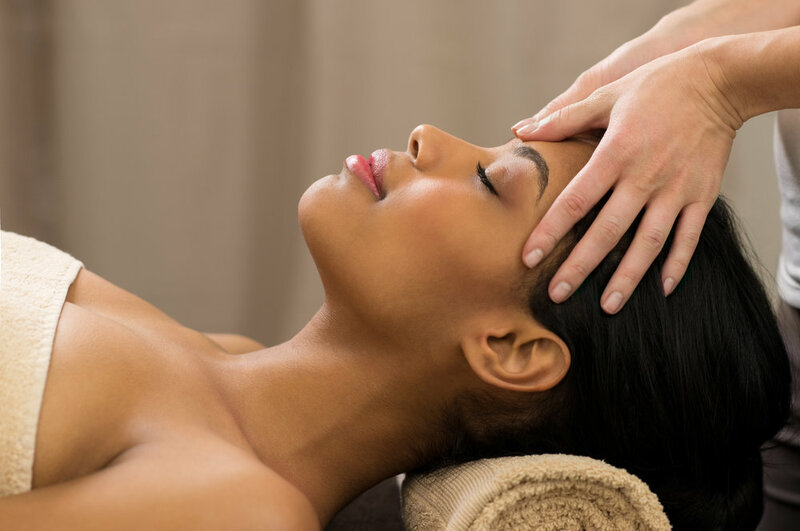 These are often side-effects of stress and Indian Head Massage can relieve stress and promote relaxation, thus allowing for a deeper sense of wellbeing and relaxation and opening your body to better rest. Massaging the head encourages the supply of oxygen to the brain which is one of the best ways of reducing anxiety and of lifting one’s mood. Oxygen helps you think clearly. Working on the chakras through Indian Massage has a powerful effect in bringing the energy of the body back into balance. Often we have short-term memory difficulties because our brains are overloaded with disorganised thoughts, making it very difficult for us to efficiently ‘log’ and collect thoughts and occurrences. Indian Head Massage can slow us down, sensual awareness can take over, thoughts quieten and awareness is brought to the forefront, almost like pressing a reset button.